Sometimes an unexpected accident or injury can result in the loss of a tooth or two. However more often than not, tooth loss is the result of poor dental health, with gum disease being one of the main culprits. Once gum disease has been successfully treated and a patient is armed with the tools they need to prevent it from coming back, restoring the missing teeth becomes the next priority. One of the most effective ways to do this is through dental implants. Patients looking for dental implants in Perth can approach any number of modern dental practices, including Elite Perio. Dental implants are small titanium posts or screws that are placed into the jawbone. They mimic natural tooth roots and are used as a stable foundation on which to attach replacement teeth, such as crowns, bridges or even customised dentures. One dental implant can securely support multiple replacement teeth. What does treatment with dental implants involve? Treatment with dental implants in Perth and elsewhere involves a minor surgical procedure where an implant dentist will drill a small channel into the jawbone into which the implant will be placed. The implant is given time to fully integrate with the jawbone, which will grow new bone in and around it. 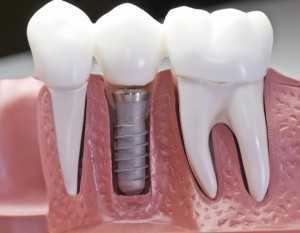 An abutment is attached to the dental implant, which acts to connect the implant to the replacement teeth. In the final stage, custom-made replacement teeth are attached on top of the implants to complete the restoration. What are the advantages of dental implants in Perth? Dental implants not only replace the missing roots and crowns of lost teeth, they also protect the health of the jawbone. Jawbone deterioration is a common consequence of tooth loss, which occurs because the missing teeth no longer send signals via their roots into the jawbone, telling it to retain its shape and density. Dental implants ensure these signals are still received by the jaw, helping patients avoid structural changes to their face. The stability provided by dental implants also means patients can enjoy a varied diet, knowing that their bite is almost as strong as it was before they experienced tooth loss.